Crowns made of metal are not one hundred percent any particular metal, unless they are stainless steel crowns, which are normally only used temporarily. Instead, metal crowns are alloys – made of multiple materials. Most commonly, metal crowns are silver or gold alloys, because they are so-called “noble metals” which resist rust and corrosion far better than normal (of “base”) metals. Generally speaking, the higher the content of noble metals found in a crown, the higher quality the crown. Alloy crowns are comprised of a single chunk of metal alloy. The characteristics of these alloy crowns are closer to the natural strength and flexibility of teeth than any other options. Metal alloys are extremely durable, so they are extremely durable despite the wear and tear caused by chewing and grinding. Even better, they don’t grind down other teeth in the mouth and their plasticity means that they are also compatible with the roots and bones that surround them. They are strong, flexible, and integrate well into the mouth. On the other hand, alloy crowns do not look like natural teeth, so a wearer must accept that they will not be white. This appearance is why metal alloy crowns are often recommended for rear teeth, where they are not as immediately apparent. 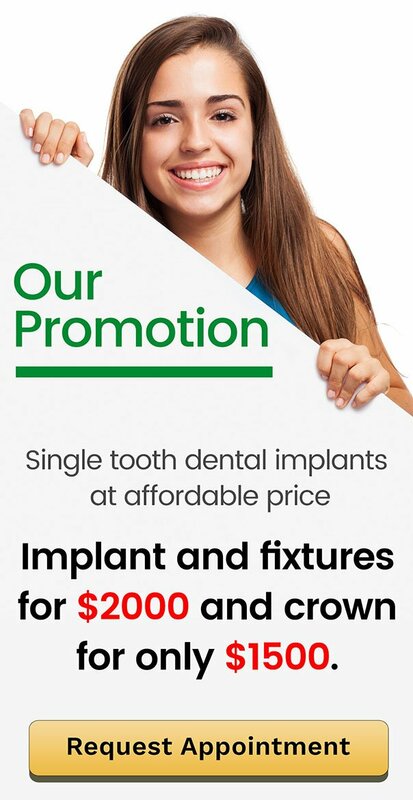 Porcelain fused to metal crowns are comprised of a metal alloy base that provides tensile strength and a porcelain veneer that is fused to the alloy in a high-heat oven. The porcelain veneer gives this kind of crown the appearance of a natural tooth. Some porcelain/metal crowns are entirely veneered with porcelain, while some only use porcelain on the visible areas. In some cases, if gums recede, a partially veneered cap can reveal its metal alloy based. Each patient makes their own decision as to the construction of their crown, and consultation with your dentist will reveal the costs and benefits of full versus visible veneers. Your dentist should make a complete analysis of your mouth and teeth prior to a crown being installed, and that that time you should be certain to explore all your options. Because crowns are expected to stay in place for a very long time, it is important that you get the right crown for you. There is one more option worth considering, the zirconia crown. Zirconia is an extremely hard crystalline substance that is sometimes used in construction of knives, as zirconia knives stay sharper than steel knives and are more long lasting overall. A zirconia crown is formed out of one, solid piece of zirconia that is then layered with porcelain to give the crown the look of a natural tooth. Zirconia crowns are extremely hard, so their chance of breaking or fracturing are extremely low. Prevent Dental Suite works hard to stay aware of the latest and greatest dental knowledge, including zirconia crowns. We work with you for a life without dental worries and full of good health. Together, we can achieve your dazzling smile and good health! If you need help with damaged teeth, come to Prevent Dental Suite in Kallangur today. Working together, we can create a strong, attractive smile and healthy mouth. We are a family friendly dentist serving patients of every age. Parking is easy, free, and located at the rear of the building.